Enjoying Outlander? Take Your Own Journey Through Time to Scotland on a Spiritual Quest. The archipelago abounds with ancient sites on several islands, and since it is newly “discovered” you can visit these sites without crowds. 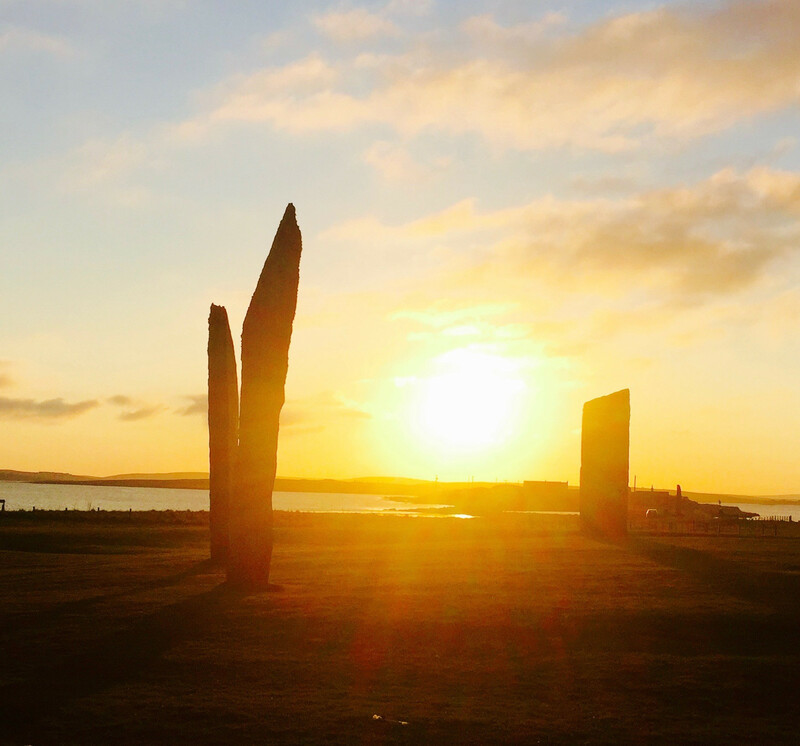 Visit: Skara Brae, Maes Howe, The Ring of Brodgar, The Stonnes of Stennes, and more…. This is the 10th year running this life-changing Quest to this amazing location. The Orkney archipelago is called the “Egypt of the North” as covered in National Geographic. It is the land of my ancient ancestors the Picts - the indigenous people of Scotland. Transform Your Life through a deeply profound inner and outer spiritual program that includes shamanic, mystical, and soul healing practices including a past life journey. You are ready to participate in profound spiritual practices that will benefit your life. Orkney is an archipelago of islands just north of the Scottish mainland (just a 1-hour flight from Edinburgh Scotland), or a short beautiful ferry ride from- Scotland’s northern tip. Orkney offers fantastic wildlife, rugged cliffs, and charming towns. 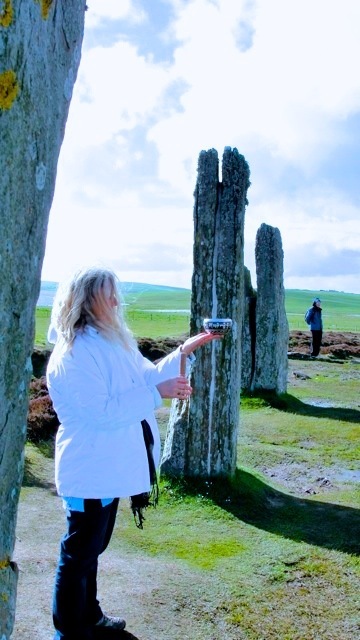 Walk to scenic Vistas, Participate in a powerful spiritual program, experience ancient times, Enjoy the company of a small group of like-minded travelers, Enjoy world-class performers at the International Orkney Music Festival taking place during the May Quest. The intention of the Nature Quest is to provide participants with a deeply empowering inner and outer journey leading to renewal and transformation. In this land that time forgot, we will access a place of immense clarity and ancient wisdom. Participants will benefit from innovative and powerful practices that will support empowering visions while clearing away limiting emotional and mental clutter. In this land that time forgot, you will access a place of immense clarity and ancient wisdom. Participate in sacred ceremonies and practices that have roots to ancient Celtic knowledge and wisdom. Benefit from a spiritual program that has deeply benefitted hundreds of people including; ceremonies, shamanic journeys, mystical connection to nature, moderate hikes to observe wildlife, and more. Discover powerful practices to support a new vision for your life, while clearing away limiting emotional and mental clutter. You will commune with the powerful energy of the land and connect with the wisdom of this timeless realm. Tap into your spiritual truth and gain remarkable insight about yourself via a one of a kind Ancient Celtic Trilogy Reading only offered by Catriona and based on ancient traditions going back thousands of years. Catriona, a descendant of one of the most ancient Scottish clans, the MacGregors*, helps people find meaning in their own lives, through Vision Quests, Nature Retreats, and Spiritual teaching. Catriona’s book,”Partnering with Nature: The Wild Path to Connecting with the Earth” was awarded a Gold Medal from the 2011 Nautilus Book Award, which recognizes "world-changing books" that "promote spiritual growth, conscious living and positive social change as they inspire the reader to new possibilities for a better world." Previous winners include His Holiness The Dalai Lama, Deepak Chopra, Thich Nhat Hanh"
and encourages you to live life more courageously and genuinely. Discover a mystical land that time forgot. A place known as the “Egypt of the North” with perfectly preserved temples and residences over a thousand years older than the pyramids and Stonehenge! spiritual traditions dwarfed many civilizations 6 0 0 0 years ago. "A Quest of any kind is a heroic journey. It is a rite of passage that carries you to an inner place of silence and majesty and encourages you to live life more courageously and genuinely. I highly recommend Catriona's quests. They are truly sojourns of the heart." Benefit from the Special Early Bird Pricing. The intention of the Nature Quest is to provide participants with a deeply empowering inner and outer journey leading to renewal and transformation. In this land that time forgot, we will access a place of immense clarity and ancient wisdom. Participants will benefit from innovative and powerful practices that will support empowering visions while clearing away limiting emotional and mental clutter. Participants will gain greatly by letting go of out-dated belief systems, gaining self understanding, and re-engaging in their life’s purpose with passion and joy. Travel Information & Recommendations for Getting to the Orkneys. Note this Quest is being kept to 12 or less people to maintain the integrity of the sacred journey and provide a more intimate & powerful experience. To Receive a Registration Form Contact catriona.macgregor@comcast.net. 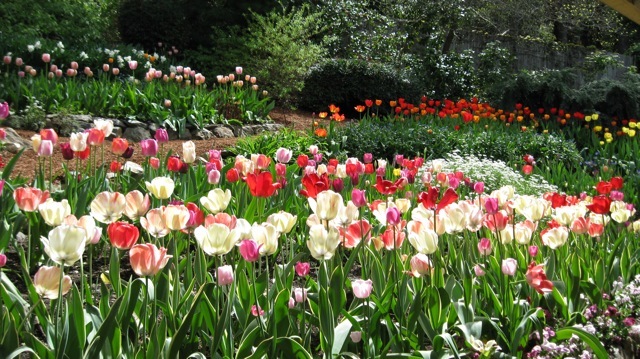 * Cost does not include lunches, 2 dinners, airfare, ferry transportation, travel or tips. In this Unique - One of a Kind Reading - not offered by anyone else on the Planet - Catriona will share with you the Secrets that Your Birth-Day brings, the gifts you were born with, & whether you are fully using your gifts. You will benefit by gaining a better understanding of your individual strengths, and how to overcome any limitations to live your best life. Using a unique synthesis of ancient Celtic knowledge based on the five elements (Earth. 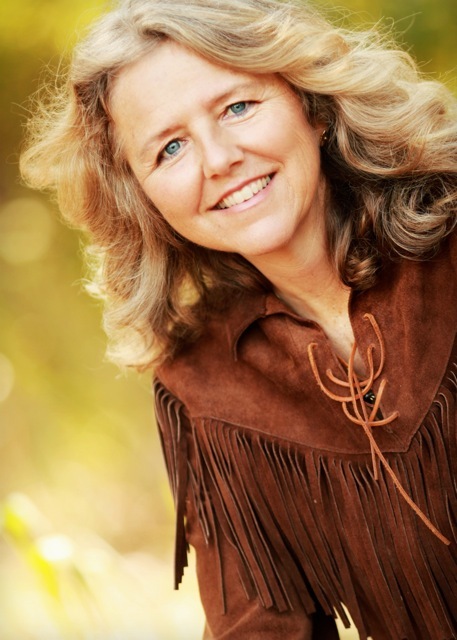 Air, Fire, Water and Ether) and Native American Tradition based on the Animals (Snow Goose, Otter, Cougar, Red Hawk, Beaver, Deer, Bear, Raven, Snake, & intuition, Catriona can reveal your natural gifts. This reading can help you gain a better understanding of yourself and your life path. Receive an insightful reading about how your experiences have shaped the perceptions, expectations and beliefs that you hold today. Benefit from this unique synthesis of Three modalities to gain greater insight about yourself and learn how your birthright and experiences have shaped your life. This reading is not based on the stars(astrology) but on earth based modalities. However, the reading does compliment your star reading. Catriona will share with you Secrets of Your Personality Style, Your Unique Gifts, Skills that you were born with. In this “down to earth & insightful” reading Catriona will apply her intuitive skills to provide you with an in-depth look at your unique personality, as well as helpful advice for your specific life challenges.There are many similarities between the ancient Celtic ways and the Native American ways and knowledge of how the day you were born can show you about the blessings & shortcomings that you came into this incarnation with. Yet - not content just to see what you were born with, Catriona looks deeper into how you are "manifesting" your life's gifts in the present moment based on how past experiences have shaped your worldview. Native American Tradition based on the Animals (Snow Goose, Otter, Cougar, Red Hawk, Beaver, Deer, Bear, Raven, Snake, etc. Catriona can help you gain a better understanding about yourself and your life path. by understanding your unique gifts and overcoming the limitations that you came into this world with. This reading - is not based on the stars but on earth based modalities - however it does complement your star/astrology reading. You will be given effective methods to clear perceptions and beliefs that no longer work for you. 3.an analysis of your handwriting. The Reading Lasts an hour to an hour and a half and preparation is required. Catriona will also provide you with powerful healing modalities and simple cures that will help you to transform your life for the better. In order to book your reading - contact Catriona at catriona.macgregor@comcast.net. To start the process, a two page letter of intent is needed. Contact Catriona for instructions on how to do a letter of intent.